In honor of me turning 30, I’m making mix CDs of my favorite songs from each of my 30 favorite musical artists/groups. Read the introductory post for more background information on my 30 at 30 project. Reminder: there is no scientific rationale for this list. They’re simply my personal favorites. Coming in at number 19 is Coldplay. Whatever it is that causes people to love to hate Coldplay, I never caught the bug. Although none of the tracks from Ghost Stories resonated strongly enough to get fast-tracked onto my compilation, I’ve enjoyed the full spectrum of Coldplay’s catalog and unabashedly proclaim them as my 19th favorite musical act of all-time. The staples of Coldplay are the soft rock piano-based ballads and the sweeping, slow-burn anthemic tracks that build with a powerful crescendo. Until my days, my days are done. Just say you’ll wait, you’ll wait for me. Even Jay-Z name drops Jesus and Judas in his verse on “Lost+” from the Prospekt’s March EP. The song that introduced me and many others to Coldplay was “Yellow” from their 2000 album Parachutes, a song full of hyperbolic love and setting the tone for what all future Coldplay songs would be compared to. Perhaps my favorite Coldplay love song is “Fix You” from 2005’s X&Y, which lead singer Chris Martin wrotefor his wife, Gwyneth Paltrow, to comfort her after her father passed away, essentially saying that he’ll do everything he can to make her feel OK despite the hardships she’s facing. “Don’t Panic” and “Warning Sign” took on added significance for me when they were included on the soundtracks of two Zach Braff movies that I love, Garden State and The Last Kiss, respectively. Based on his soundtrack compilations, Braff and I have similar tastes in music, and he included Coldplay again on his most recent film’s soundtrack, Wish I Was Here, confirming that it is OK for some people to like Coldplay. If they’re good enough for Zach Braff, they’re good enough for me. Coldplay has a consistent formula that works for them. 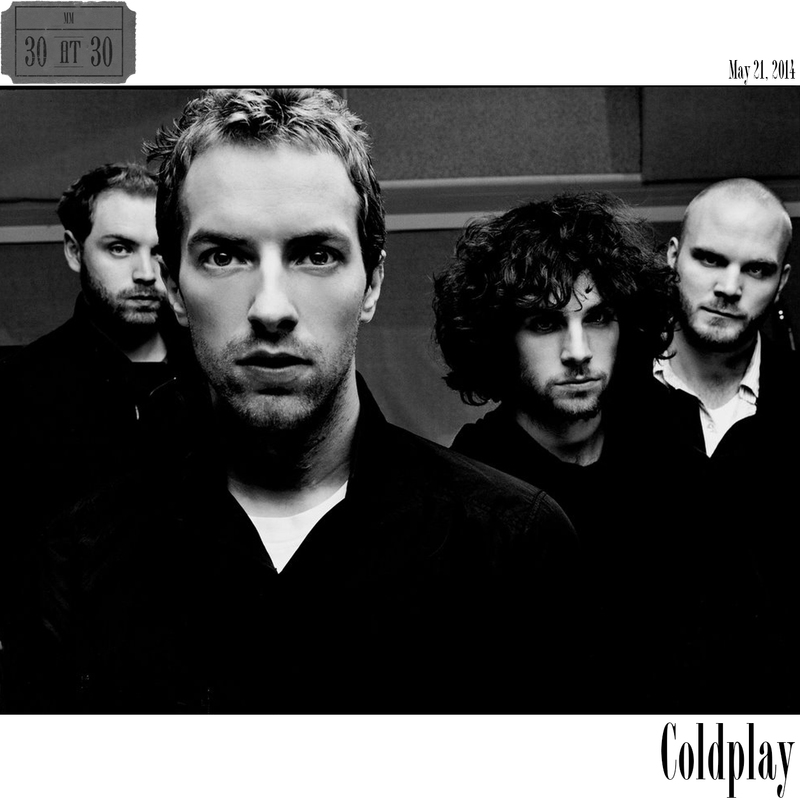 Whether it’s the repetition of the opening piano notes on “Clocks” or the resounding chords of “The Scientist” (both from 2002’s A Rush of Blood to the Head), Coldplay’s music makes an impression on the listener. A lot of the songs have a similar vibe to them that make them definitively Coldplay songs. Their lyrics work for me and their sound clearly resonates with a wider fan base than the Internet message boards would indicate as the band consistently does well on tour. So here’s to Coldplay for embracing who and what they are in the music world and continuing to shine on as the soft rock stars that they are.